A county councillor has raised concerns that some alternative provision colleges in West Sussex have become ‘hotbeds’ for cuckooing. At a select committee meeting in Chichester, members discussed a report from the safeguarding adults board, which mentioned the work being done to tackle the problem. Annie Callanan, independent chair of the board, assured members the issue was a priority, with British Transport Police and taxi drivers being trained to look out for warning signs. But Dr James Walsh (Lib Dem, Littlehampton East) highlighted a problem at the colleges, which cater for youngsters who have been permanently excluded from school or cannot attend for medical reasons. Dr Walsh said: “One of the other sites we need to look at are alternative provision colleges where certainly there are hotbeds of it happening – certainly in Littlehampton and, I’ve been told, elsewhere. With some members unfamiliar with the term cuckooing, Ms Callanan was asked how widespread the problem was in the county. Dr Walsh said: “In my opinion it’s more of a problem along the south coast rather than in the inland areas because of the rail links with London and the social deprivation that’s more prevalent in those areas. The report shared the case of a 44-year-old man called David, who had a long history of significant mental ill-health and fell foul of cuckooing. The police and housing departments were able to work with local charities to protect him and deal with his abusers. Pat Arculus (Con, Pulborough) asked for assurances that more was being done to help people spot the warning signs of cuckooing and to monitor those at risk of being targeted. A West Sussex County Council spokesman said: “As with many areas in the country, West Sussex is experiencing the impact of ‘county lines’ drug gangs; mainly those operating from London who are targeting seaside towns and rural areas. “These gangs can exploit a range of vulnerable children and adults and will also sometimes target those children and families who are not known to services so that they can avoid detection. 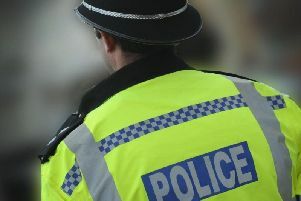 “In West Sussex, wherever there are vulnerable people who are at risk of exploitation, our frontline staff are working closely with police and other agencies on a wide range of measures to protect and support them. “We are committed to safeguarding all young people who attend West Sussex alternative provision colleges, as we are at all West Sussex schools, and this includes efforts to prevent them from becoming involved in any criminal activity. “Anyone with specific concerns regarding a named child should contact the Multi Agency Safeguarding Hub on 01403 229900 (out of hours 0330 222 6664) and for adults the Adults Care Point on 01243 642121.